Also Featuring the Death of The Inhumans! This week’s Best Comics to Buy list features a number of monumental issues as well as a few new beginnings. 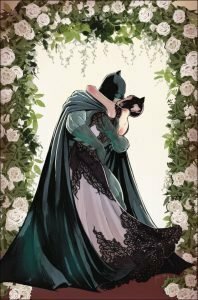 In Batman #50, Catwoman and Batman are finally set to be married. But can the Bat and the Cat actually live happily ever after? Also this week, death looms high for the Inhumans in Death of The Inhumans #1, a book with major implications for the Marvel Universe. All that, plus a new all-ages title from Nuria Aparcio and the return of Kim and Kim! 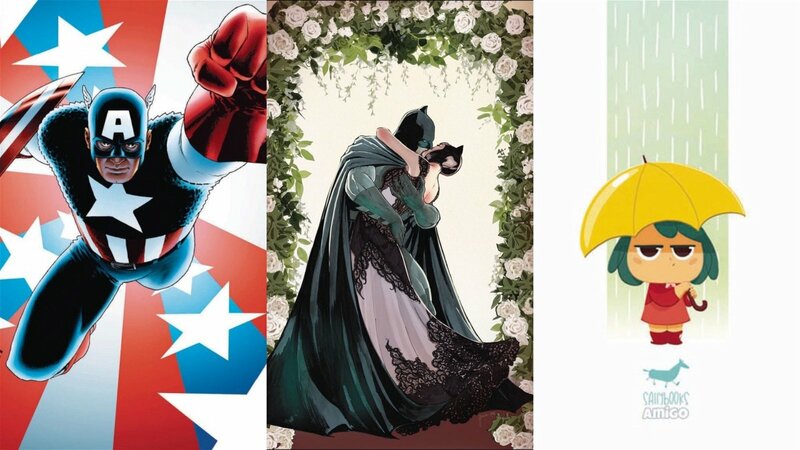 After countless issues and nearly 75 years of existence, Batman is finally set to get married in this week’s Batman #50. The best part of Tom King’s Batman run so far has been Catwoman and Batman’s relationship, and given King’s pedigree as a writer, it’s safe to assume that this issue will be a monumental one. This book is also super-sized and contains almost 20 more pages than usual, which is fitting as it also contains a whole slew of great guest artists. These artists include Joëlle Jones, David Finch, Mikel Janin, Various, Lee Bermejo, Frank Miller, José Luis García-López, Ty Templeton, Becky Cloonan, Andy Kubert, Neal Adams, Rafael Albuquerque Mitch Gerads and Clay Mann, which very much accentuates the celebratory nature of this issue. This trade paperback immediately jumps out among the mass of comics releasing this week, thanks to its cute cover and even cuter solicit. 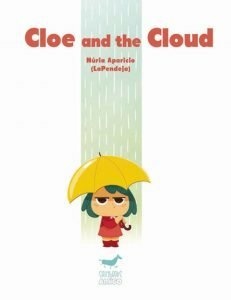 The collection follows the adventures of a girl named Cloe, who is extremely cheerful and who is constantly laughing and having fun. Then, one day when she’s playing outside, she is struck by an unexpected phenomenon: a constant rain that follows her around. This phenomenon is a perfect way to illustrate the challenges of going from childhood to adolescence, and given writer/artist Nuria Aparcio’s track record, it’s clear that this is a special book that is more than worth a look. The Inhumans have had a rough time in the Marvel Universe recently. For a time they were supposed to be the replacement for the X-Men, but ultimately failed to gain much traction with fans and were relegated to the background as a result. This week doesn’t look too much better for them as they could very well all be killed in Death of Inhumans #1, but with Donny Cates and Ariel Olivetti on board, it will at least be a well-told demise. Cates is arguably the hottest writer in the comic industry right now as his runs on Venom and Doctor Strange have been extremely engaging and promising. As for Olivetti, he has one of the most unique art styles in comics that is both realistic and painterly at the same time. Seeing as this issue seems to be full of high stakes and emotional payoffs, Olivetti is very much the perfect artist to draw this one. Cates has also said that this issue will have extreme ramifications that reverberate across the entire Marvel Universe, making this a must-read story for Marvel fans. 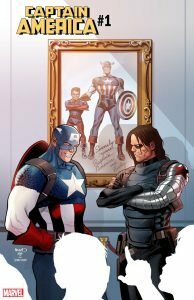 Arguably the series that has been most in need of a relaunch, Captain America is getting the #1 treatment in a new series that boasts a lot of promise. The series by Ta-Nahesi Coates and Leinil Francis Yu is more of a follow to Secret Empire than to Mark Waid’s recent run, and it will explore the aftermath of Hydra’s takeover of the United States. While Secret Empire was a disappointing series, the idea of Captain America dealing with the fallout of fascism fits extremely well with the core of his character. Also, given Ta-Nahesi Coates’ knack for writing intriguing political articles at the Atlantic, this series has the potential to be extremely important and relevant. 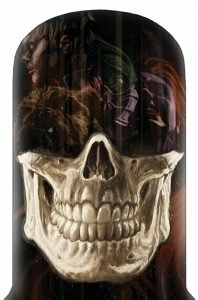 One of the most underrated comic book publishers of the past couple of years, Black Mask Studios has put out a number of diverse and celebrated series over. From 4 Kids Walk Into A Bank to We Can Never Go Home there has been a number of great series, and this week sees the launch of yet another intriguing title. That intriguing title is Oh Sh#!T! It’s Kim & Kim #1, and it looks like it’s going to be a wild ride. The series actually picks up from the previous Kim and Kim mini-series, and this is the first time that the two characters have starred in an ongoing series. 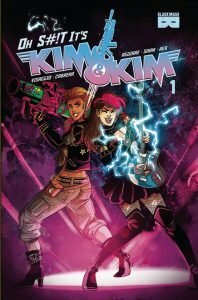 Their previous stories were nominated for Eisner and GLAAD awards, and seeing as this one is set in space, there is no reason not to check out Oh Sh#!t It’s Kim and Kim #1. Liked this article and want to read more like it? Check out our list of The Best Graphic Novels to Buy and our Interview with Black Kiss Creator Howard Chaykin.